For people who follow my write ups regularly, you would know that I am a MASSIVE fan of Jeremy Clarkson. So when your childhood idol, who does not drive cars that have less than 500 bhp, dedicates 20 minutes of the biggest motoring show on planet Earth to a rather normal commuter and calls it "The Best Car In The World,” you have to take notice. Yes, I am talking about the Skoda Yeti, a crossover that has taken the world automotive community by storm. 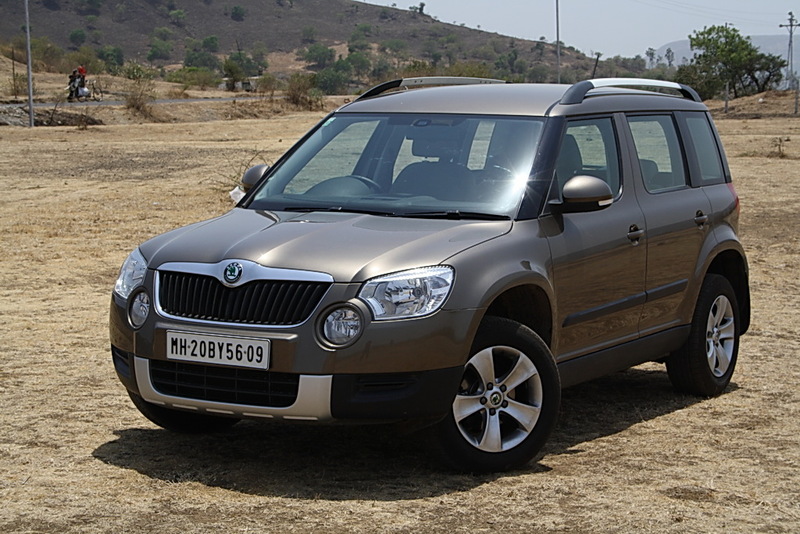 Skoda India introduced the Yeti 4x4 quite a long time back and pitched it as a niche product for Indian petrolheads. 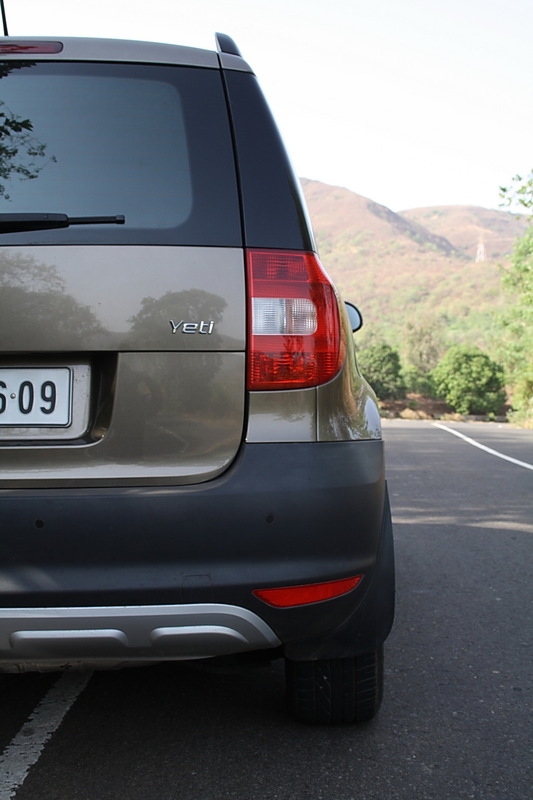 Unfortunately, it was not the product but the price that made Yeti a slow-seller in India. 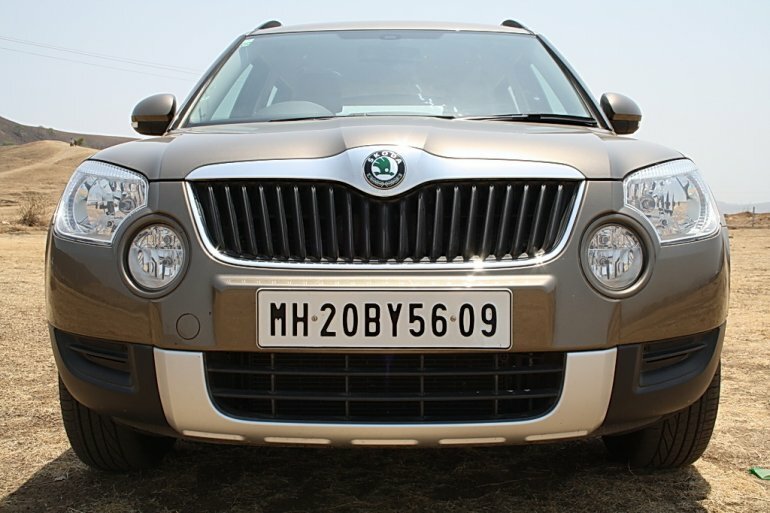 But like most manufacturers, Skoda India decided to bring a 4X2 variant to bring down the prices. 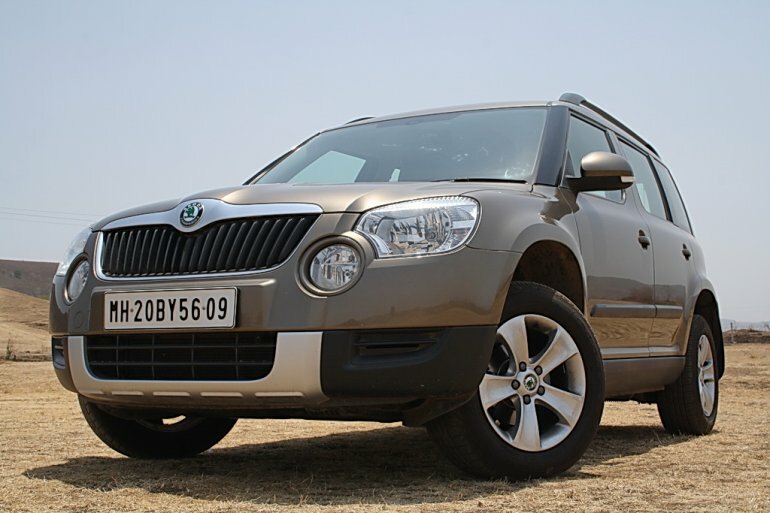 So we ask, what does the Skoda Yeti 4x2 bring to the table? The Skoda Yeti has a very distinct design language and that’s not surprising because it was designed by Jozef Kaban, lead designer of the Bugatti Veyron project. 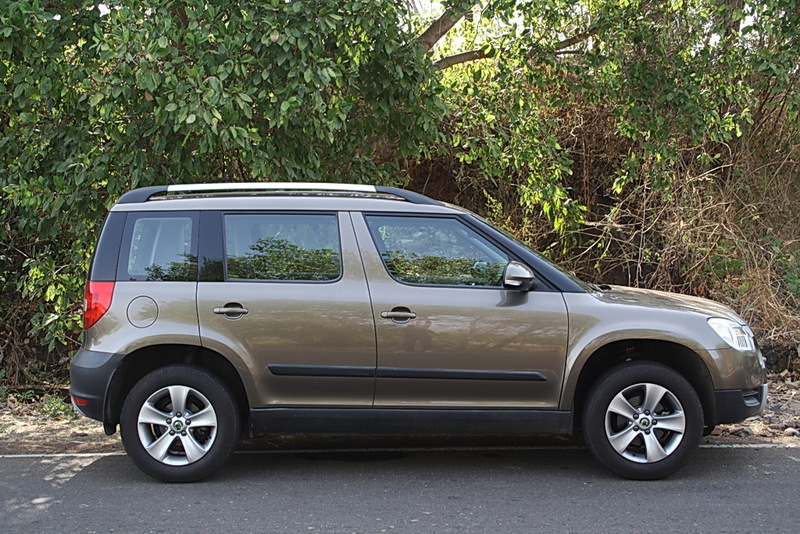 The Yeti is a crossover, so dimensions are somewhere between large hatchback and an SUV. 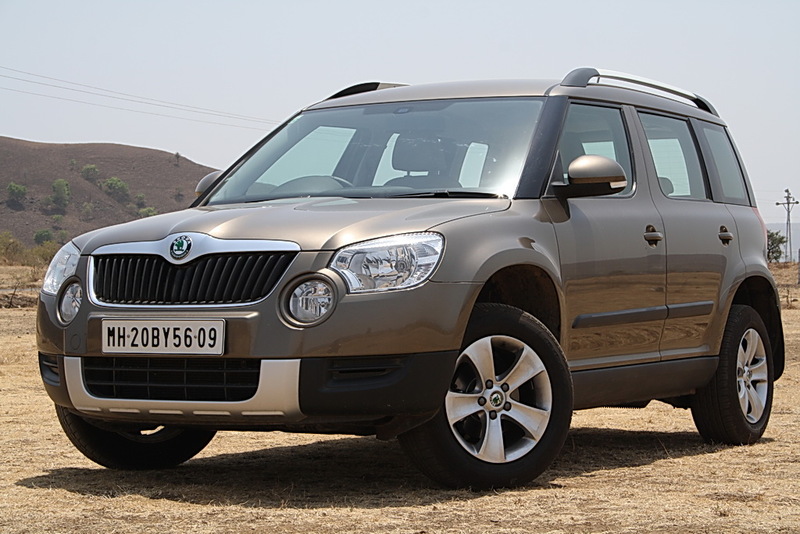 Unlike most companies under VW’s banner, Skoda has managed give each its cars a distinctive image, more so in the Yeti. 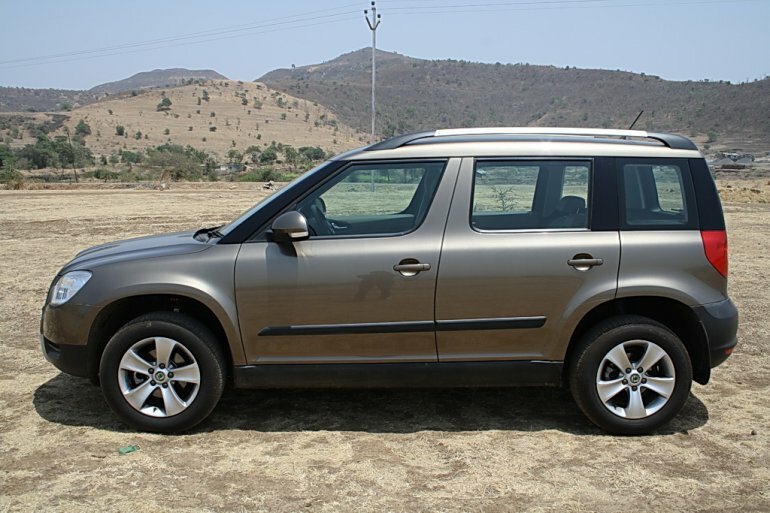 The Skoda Yeti is just 4.2 meter long, 1.7 meter wide and a 1.6 meter tall. Yet, the distinctive design with its unique characteristics give it a very confident stance. It does not look very big yet manages to have a very good street presence. 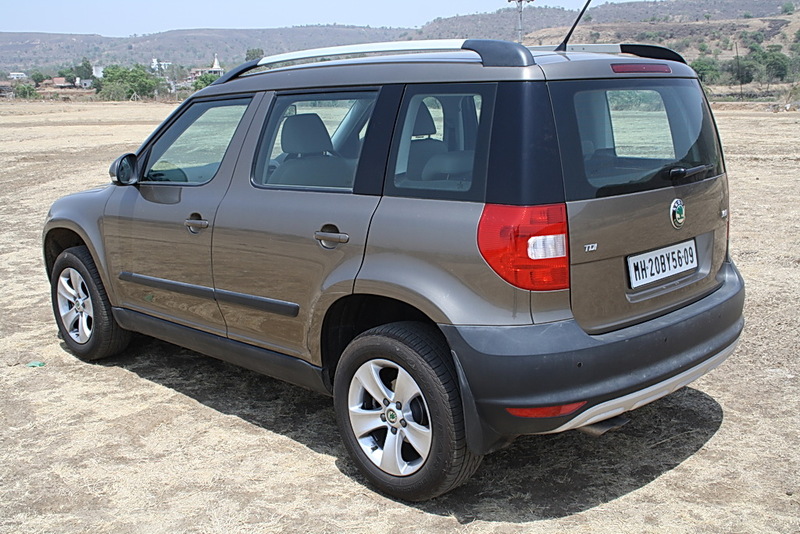 Upfront, the Skoda Yeti gets a very masculine and bulbous stance. The most interesting part of the front fascia is the beautiful incorporation of the fog lamps in the design. 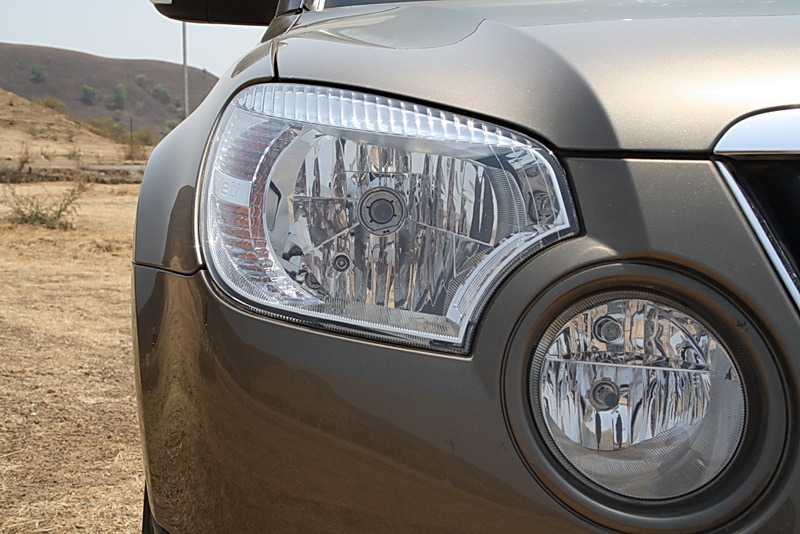 While the international Yeti gets Bi-xenon headlamps, the Indian version gets halogen bulbs. 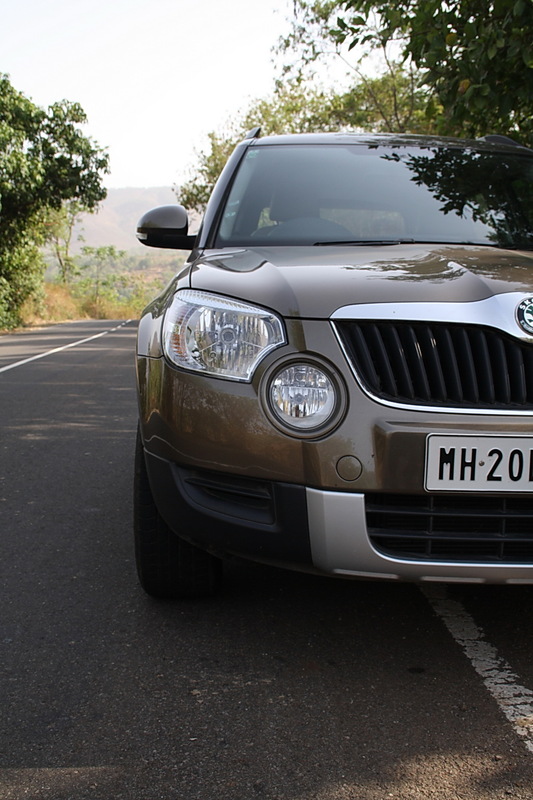 Like most Skodas, the headlamps of the Yeti are engraved with its moniker. 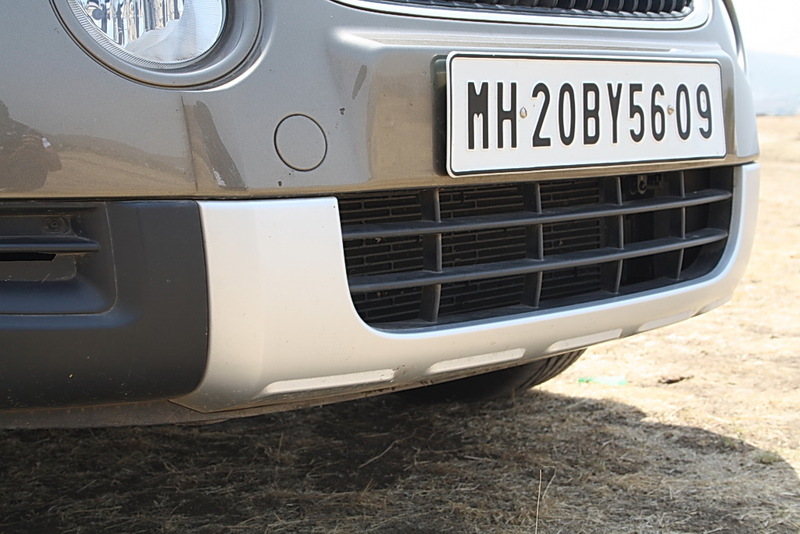 The wide rib-shaped grill with chrome surround gives the much required confidence to the design. The front bumper is not body colored to give it an off-roadish look. 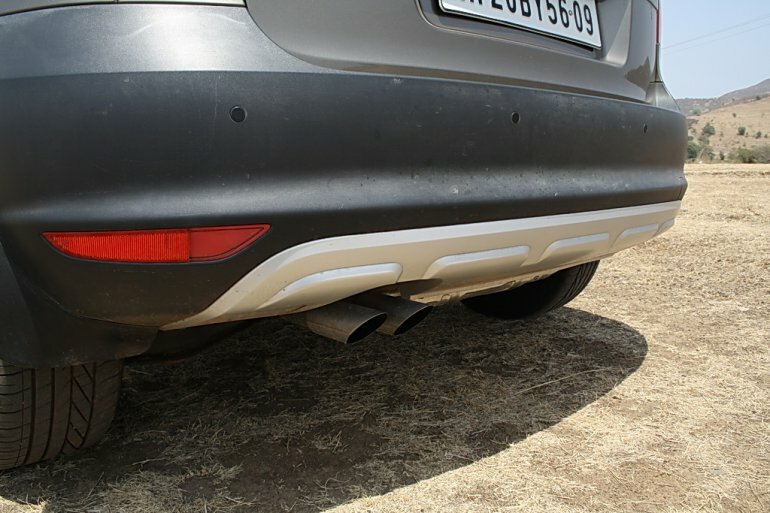 It also gets an aerosol silver paint to give it the appeal of a fake skid plate. The side view has a very simplistic, almost van like design. The A, C and D pillars have been blacked out to give a floating roof design. 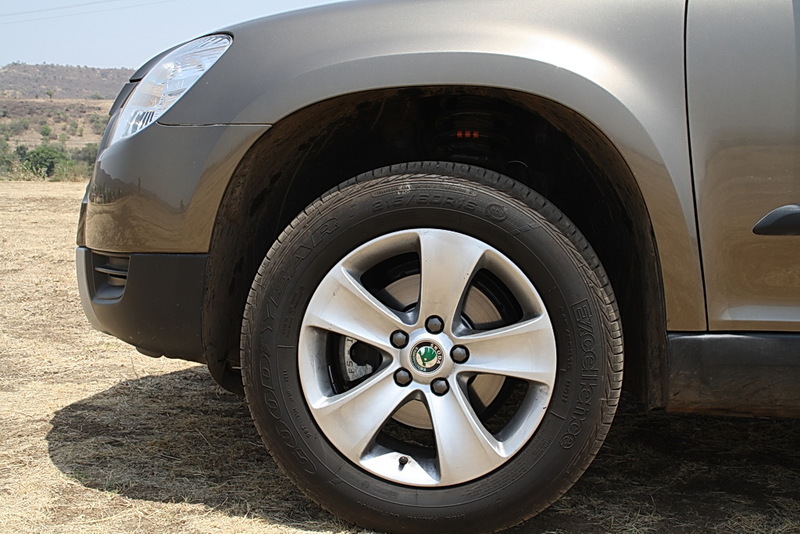 The muscular wheel arches make for a very aggressive soft roader design. 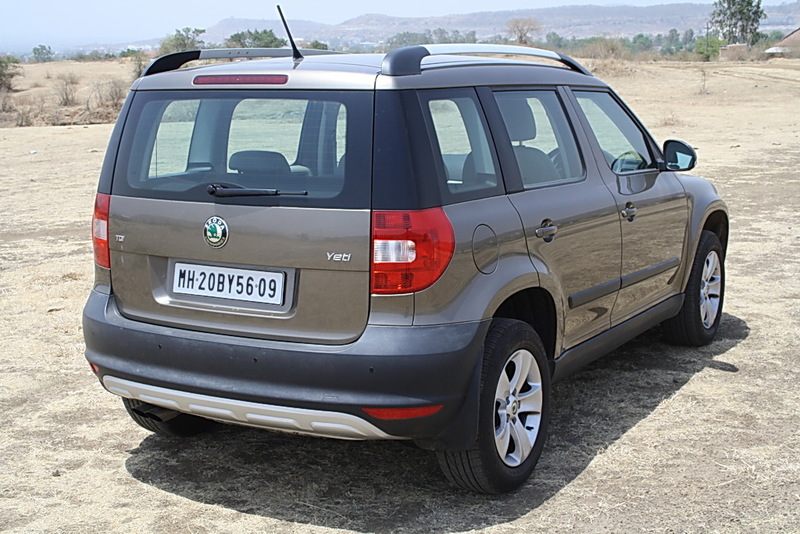 The huge suspension travel and the boxy design makes it look like a true SUV and not a jacked up hatchback (like the 2012 Fiat Punto). It has 180 mm of ground which means it can glide over potholes and huge craters easy peasy. The 16 inch Moon wheels also have a simplistic, non flashy design. 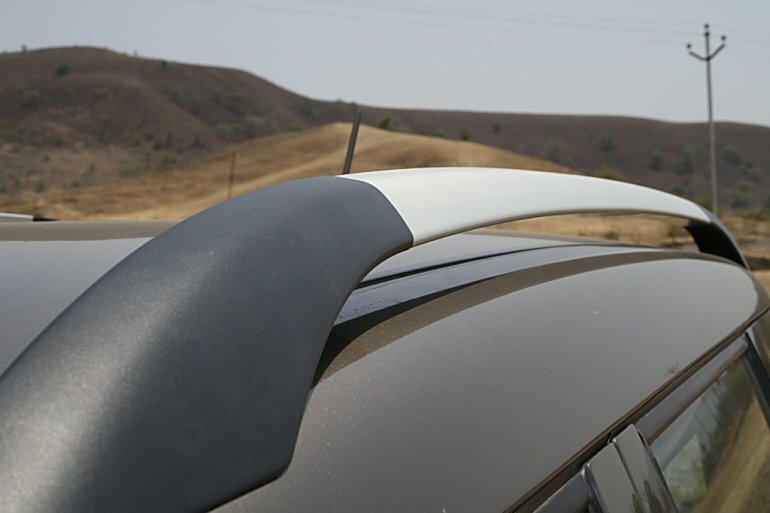 The side skirts are plastic and are not body colored. The OVRMS are wide and have turn indicators to make the SUV look more premium. I would like to point out that the OVRMS do not give a good visibility and there are a few blind spots that might catch you by surprise. 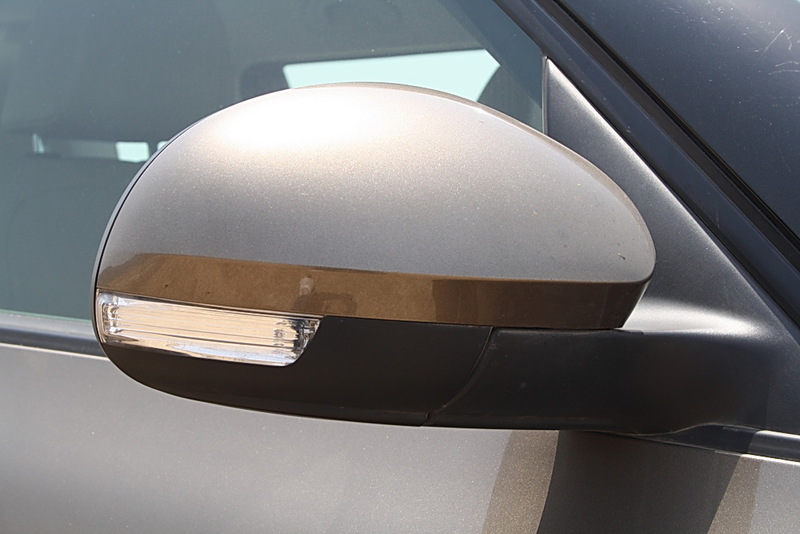 The door handles are also body colored, even though this is essentially a stripped out variant. The silver colored roof rails are a part of the off road malarkey and can be used to attach a cycling rack for those increasing number of avid cyclists in India. . The radio antenna should have been incorporated in one of the pillar because it does not look good on the roof. 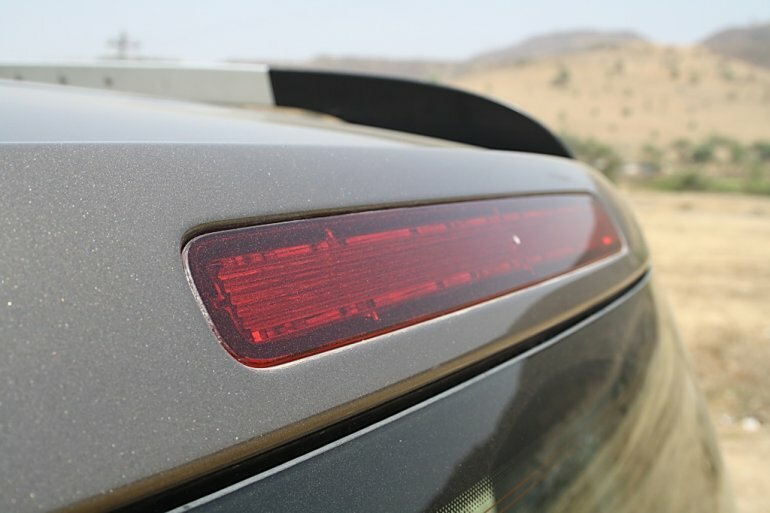 The tail lamps protrude in the side profile. 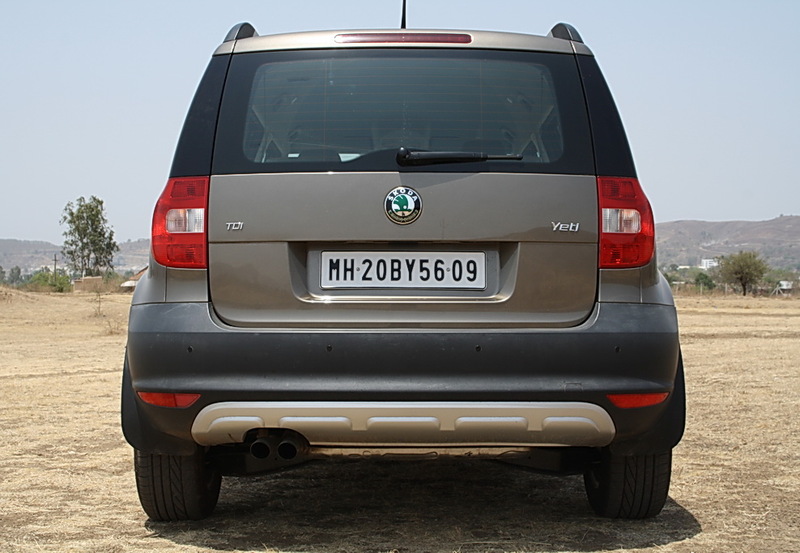 Coming to rear, the Yeti continues it simplistic design philosophy. 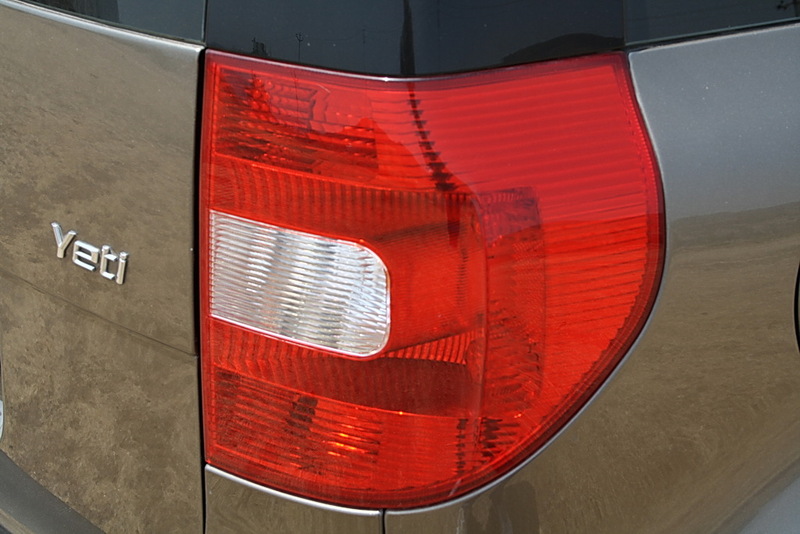 The tail lamps have the typical Skoda C motif. The tailgate opens upward instead of sideways. The non-body colored rear bumper gets protective off roading cladding along with twin tail pipes. A secondary brake light is fitted on the roof with two reflectors at the bottom. The design is very quirky and tastefully done. Quirkiness would attract the affluent crowd, just like SAAB did in 1990s. It can easily stand out in the crowd without being ostentatious. 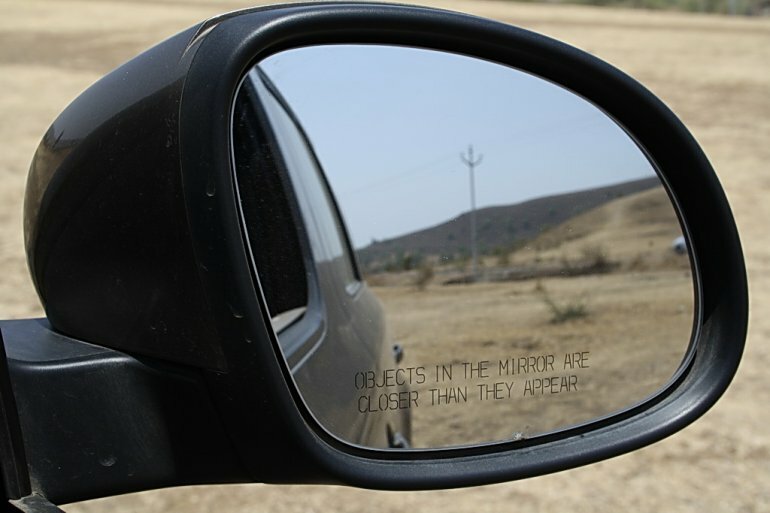 It does not come across as flashy boy toy, just a car that is a little bit different. To sum it up, the design works so well that you will feel proud as you see this little crossover standing confidently in your parking garage. 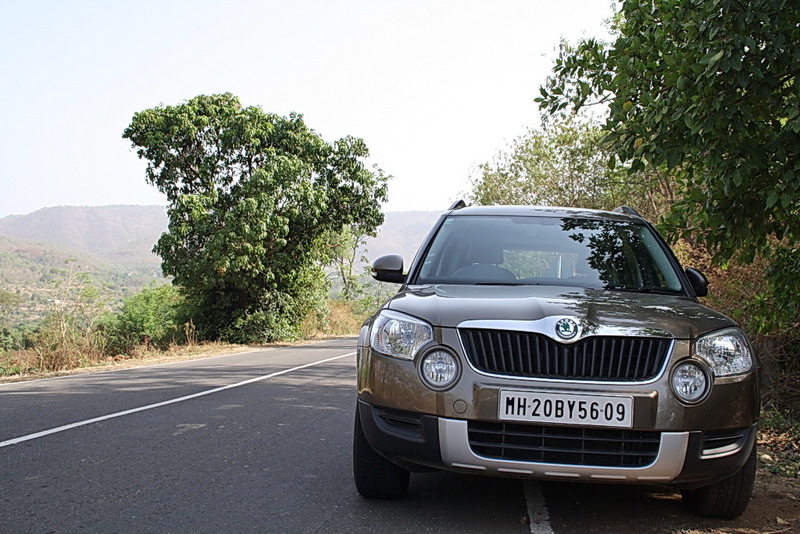 Stay tuned for the interior review and the driving review to find out why the Skoda Yeti is the car for all needs.